We can rmanufacture and repair customers existing equipment using all OEM parts made from drawings from the original V&O engineering library. Many of the parts are still made by orginal V&O vendors. All equipment is remanufacture to original OEM tolerances and specifications here in our Hudson NY. facility. 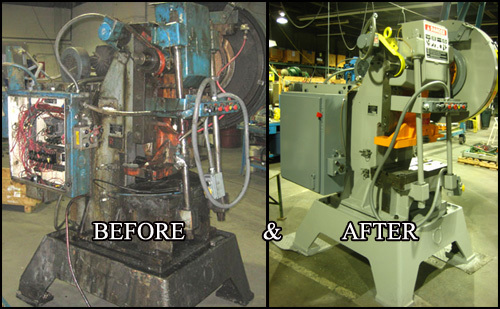 We can provide these remanufacture presses with custom engineered control packages or the customer can provide their own controls.